The Jolly Piper boasts a bright and bold plaid in red, green, yellow, white, mauve and black. 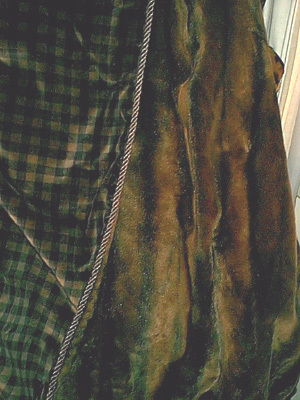 The other side is soft brown faux sheared beaver fur. 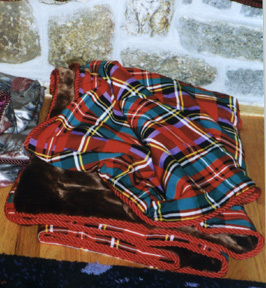 A red braided cord finishes the lap robe. The Aberdeen lap robe has a soft cotton velvet print in a traditional brown and black plaid. The other side is a luxurious brown faux mink fur.